Enjoy the wilderness on a guided snowshoe trek. 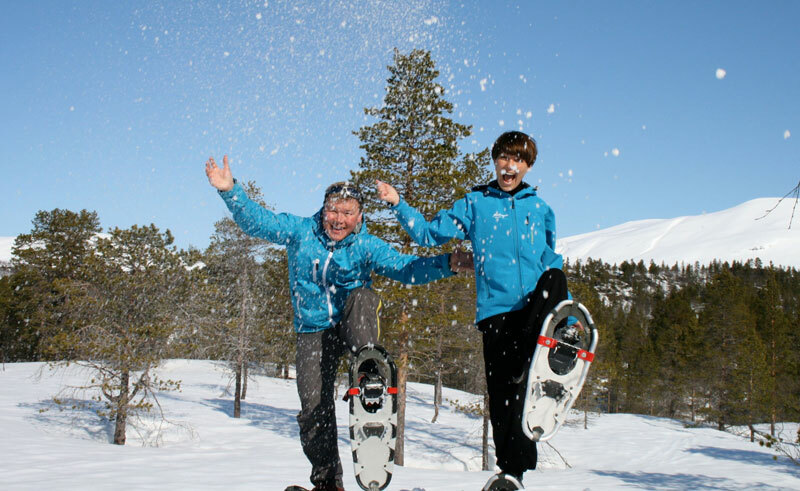 Learn the art of using snowshoes before embarking on a trek through the forests and across frozen lakes with several photo opportunities, keeping a look out for arctic wildlife. A stop is made at the base camp where a hot snack is served by an open fire. Winter clothing is provided.